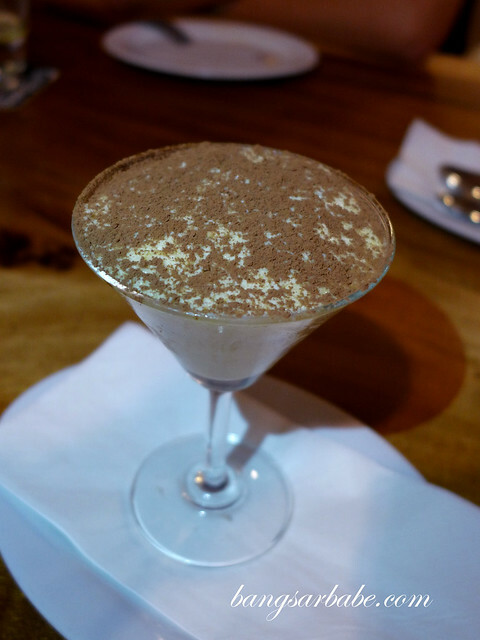 “As long as there’s pasta, cream and cheese, my world is bright again,” I said to the waiter at Urbano e Fresco. I had such a horrible day and could use a big plate of pasta to wallow in self-pity. 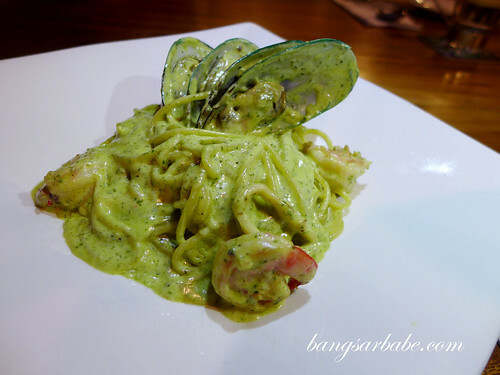 So that was what I got – a generous portion of Marinara Pasta (RM28.90) with plenty of seafood, creamy pesto and Parmesan cheese. Triple heart attack on the plate but it was good stuff! 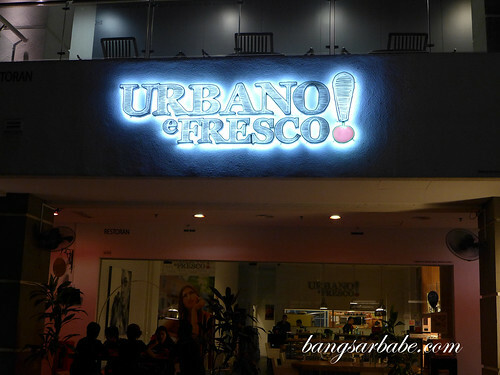 Urbano e Fresco is located at Publika and serves Italian food made from the freshest ingredients available – a lot of the items are imported from Italy. 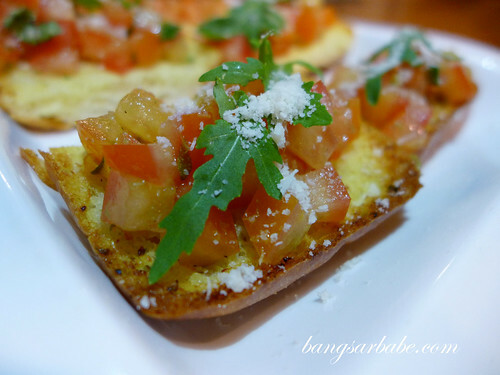 Dinner started with some Bruschetta (RM12.50), a platter of toasted Panini bread with olive oil, garlic, fresh tomatoes, onions and basil. This looked plain but tasted anything but. The tomatoes were juicy and sweet, while the olive oil gave it a good aroma throughout. 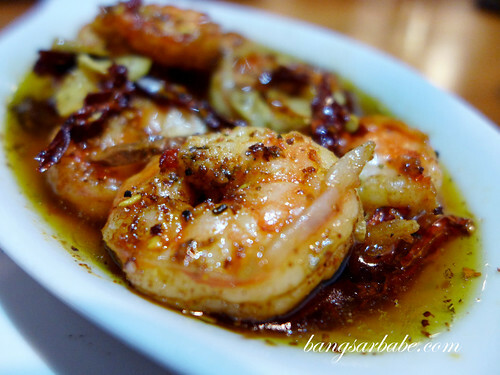 We were very impressed with the Sautéed Prawns (RM22.90), featuring plump tiger prawns cooked in a gravy of olive oil, chilli and garlic. This was absolutely wicked! 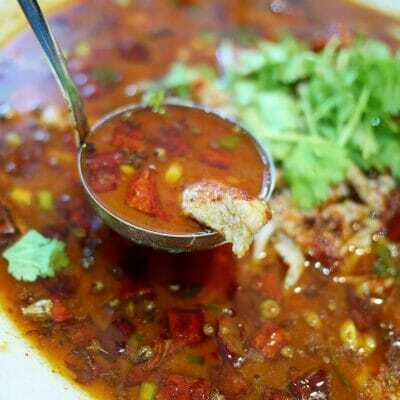 The prawns were fresh and juicy, and I enjoyed mopping up the remaining gravy with the fresh bread provided. 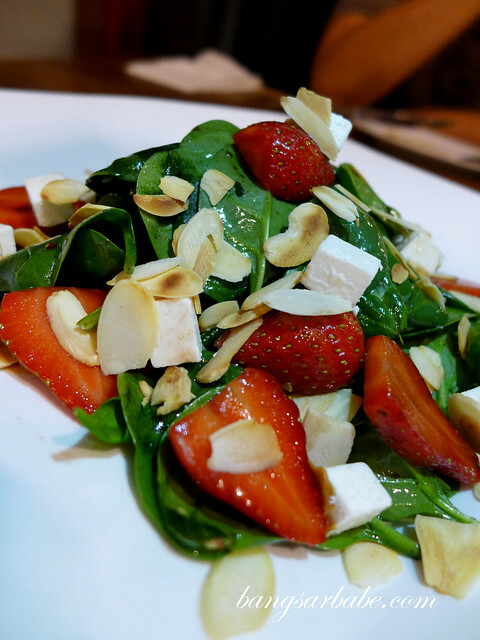 Spinaci Insalate (RM22.90) was a salad of baby spinach, feta cheese, strawberries and almond flakes, bound together by a rich balsamic dressing. 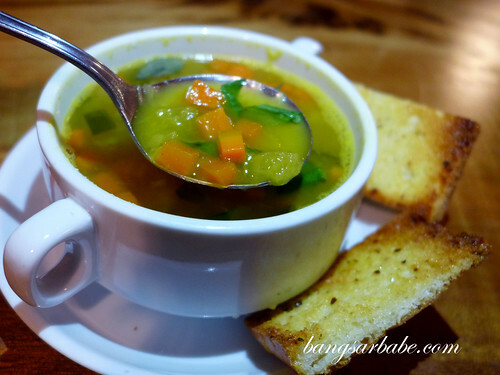 This was a refreshing combination as I liked how the dressing didn’t overpower the natural flavours of the ingredients. 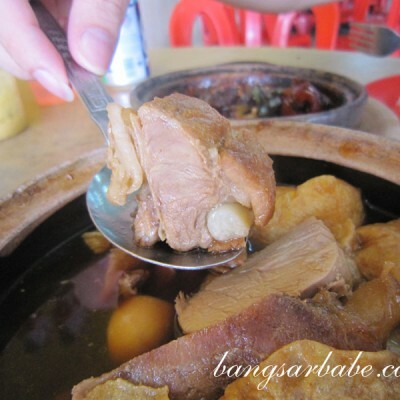 For soup, I tried the mushroom soup (RM13.90) while rif had the minestrone (RM13.90). 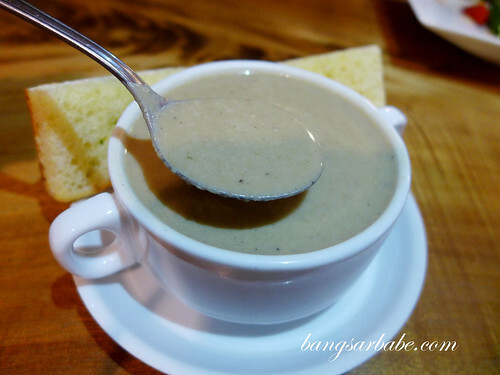 Both were fairly decent considering the affordable price tag but I would prefer my mushroom soup to be thicker and chunkier in texture. Between the Verdurina Pizza and Urbano Man, I liked the latter. 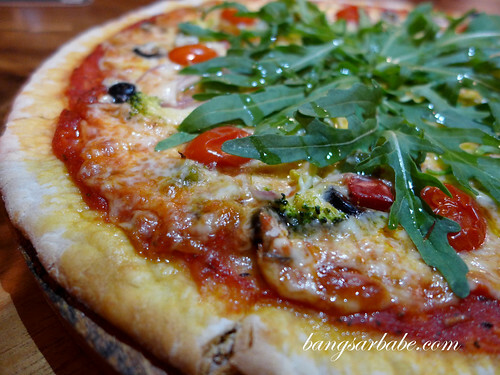 Verdurina Pizza (RM27.90 for 9”, RM34.90 for 12” and RM41.90 for 15”) combines tomato, fresh garlic, rocket salad, spinach, black olives, broccoli and red onion. Simple but tasty. Kudos to the chef for getting the balance just right! 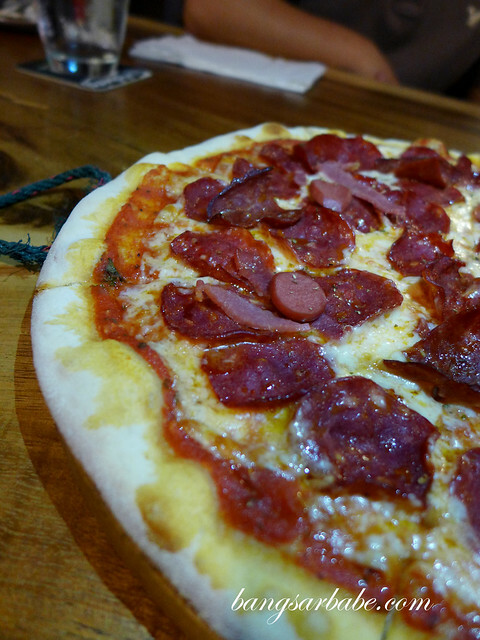 Urbano Man (RM28.90 for 9”, RM34.90 for 12” and RM41.90 for 15”) is a meat lover’s paradise, with tomato sauce base, mozzarella cheese, beef sausage, pepperoni, bacon and salami. 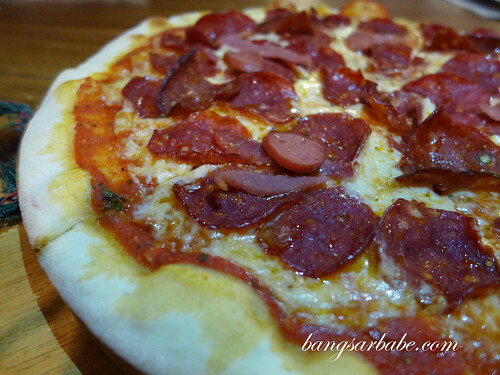 The pizza base was quite impressive – fairly thin with a lightly chewy texture and crisp edges. 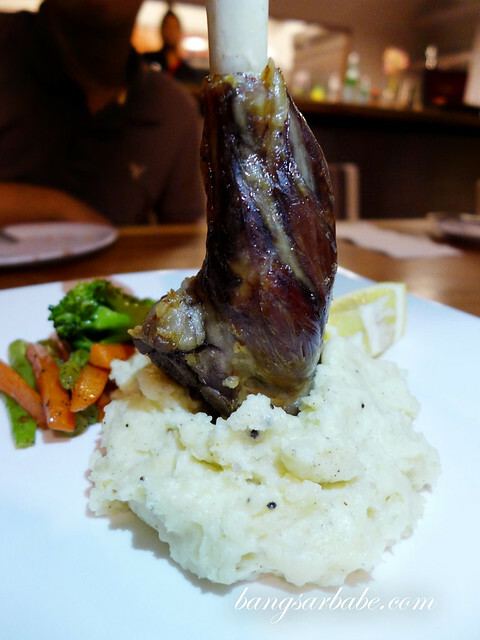 I was told the Stinco di Agnello (RM45) – oven baked lamb shank – is a popular order at Urbano, but I wasn’t as impressed. The mash potato was a tad stodgy while the lamb was stringy. Seasoning was lovely though. 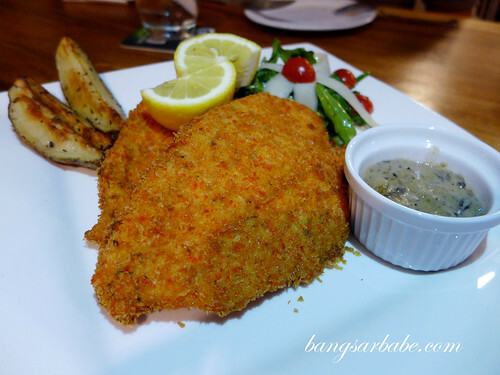 Better was the Chicken Milanese (RM25.90), served with rocket salad, cherry tomatoes and shaved Parmesan Cheese with a side of mushroom or mustard. 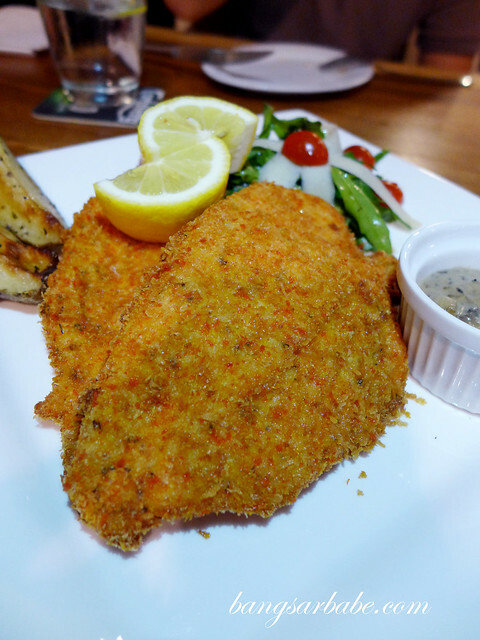 The chicken was breaded and deep fried till golden brown, while the centre remained juicy. 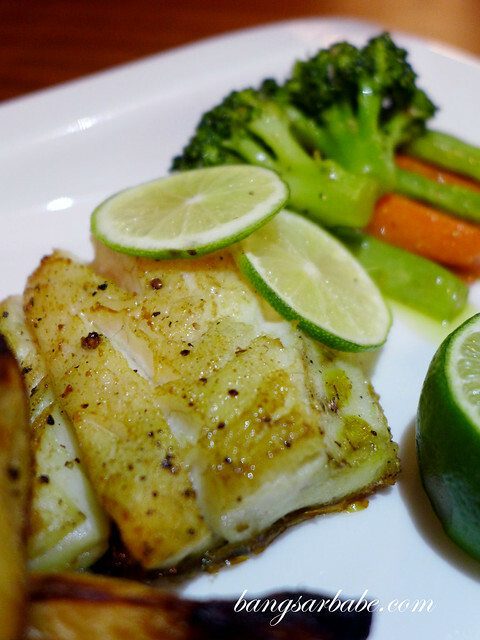 Filetto di Branzino was a platter of Pan seared Sea Bass Fillet with cherry tomato and sautéed vegetables. I found the fish a bit overcooked for the sides were dry. Pity though, for the fish was really fresh. 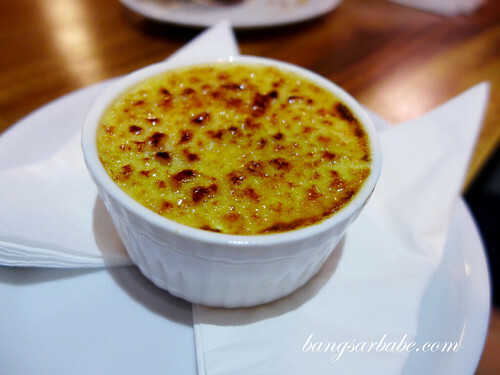 For dessert, we ordered the Tiramisu (RM10.90) and Creme Brulee (RM6), of which I preferred the latter. The sugar glaze cracked, revealing its precious centre at just the tap of my spoon. 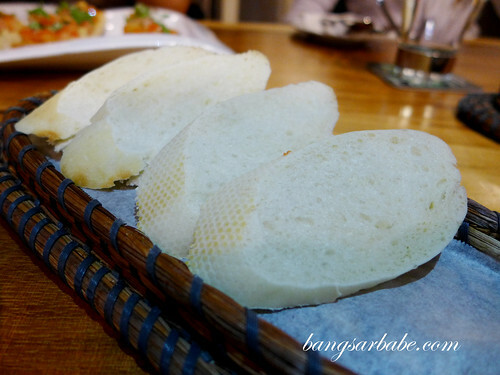 All in, I found the food at Urbano e Fresco quite decent save for a few misses. Portions were also pretty generous so that’s a big plus point. 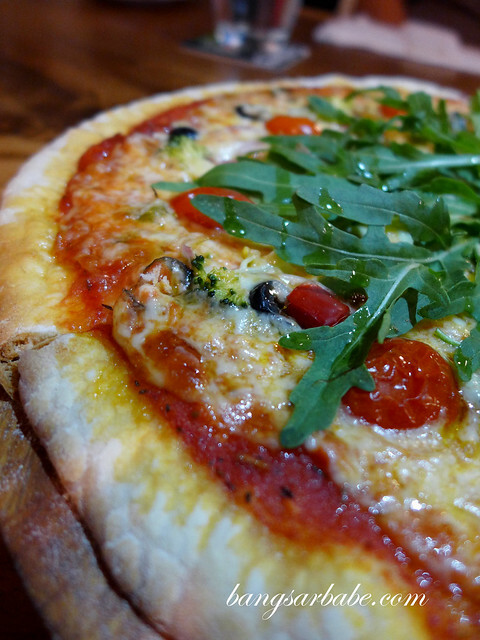 Verdict: Try the Marinara Pasta and Verdurina Pizza! The place looks nice. However, being half italian and spending much time there, I am very chocked at what you called ‘marinara’… errrr pesto + cream? the god of pasta must be chocking himself seeing that. 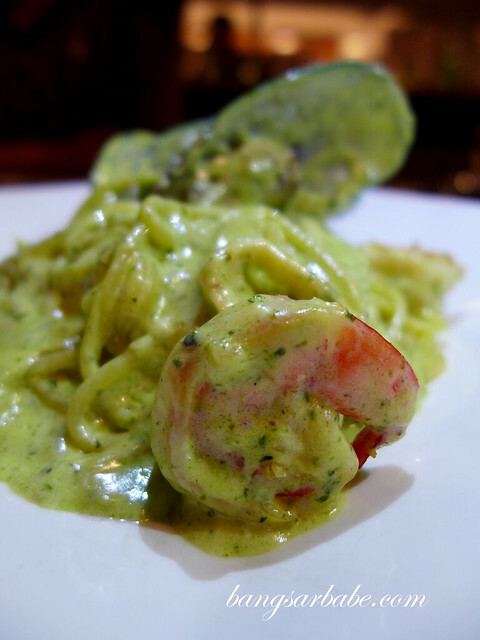 There is pasta al pesto, but it’s definitely not called marinara. And cream in pasta? errr not italian at all again. Newbies thinks Carbonara has cream in its salsa, but actually no. It uses white egg + the water used to boil the water to give a creamy white aspect, but it’s definitely not cream. If you see cream in a dish of an italian restaurant abroad; not italian. 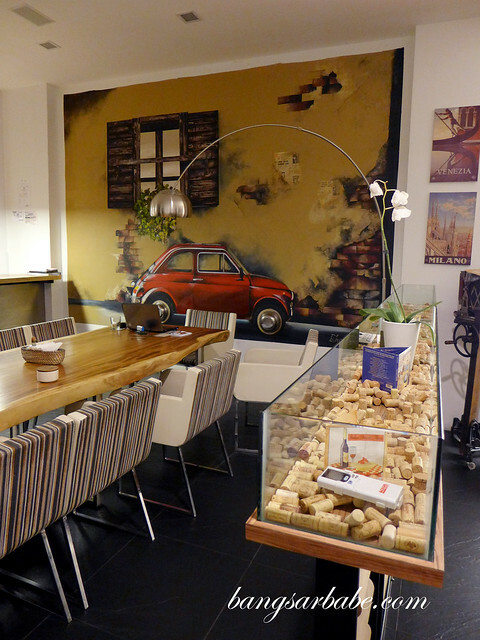 or very much modified to satisfy people that are not familiar with italian cuisine. Sorry.